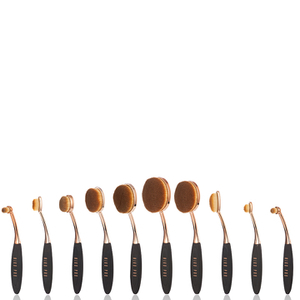 Revolutionise the way you think about makeup brushes with Niko Pro and their range of very unique complexion tools. Oval-shaped for perfect blending, the tools are also both vegan and cruelty-free, so perfect for anyone wanting to switch to a more eco-friendly beauty routine. The larger brushes in the range are perfect for blending foundation, bronzer and blusher, while the smaller brushes work wonders for more precise application like highlighter, concealer and contour products. Super soft and lightweight, the brushes ensure a beautifully flawless and even application of both powder, cream and liquid formulations.